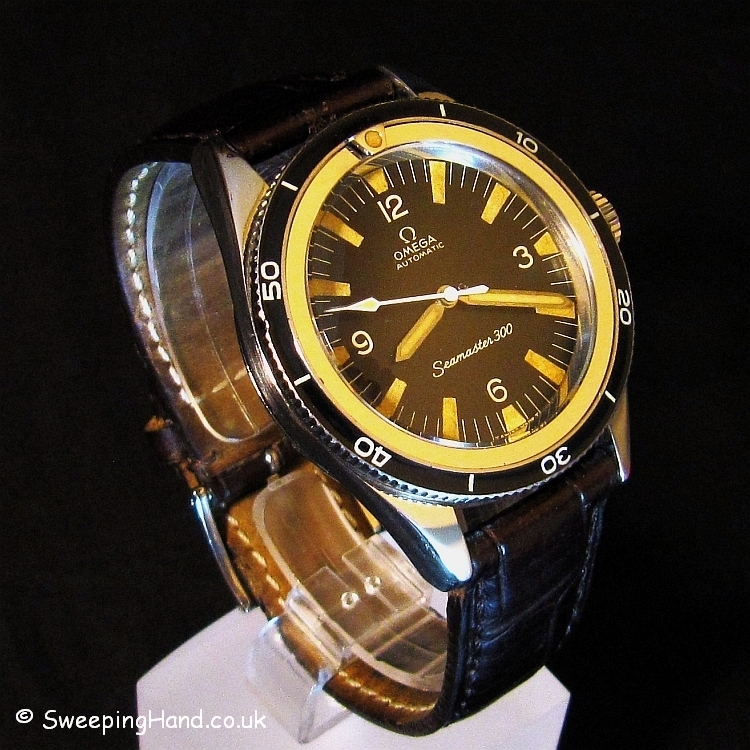 Omega Seamaster 300 For Sale - 165014-64 : Rare 1966 Stunner! Here we have an Omega Seamaster 300 For Sale. To be honest I think I could just put the pictures of this watch up and a price and it would sell itself! Battling really hard to not try and keep this one in my own personal collection. It is an absolute beauty. 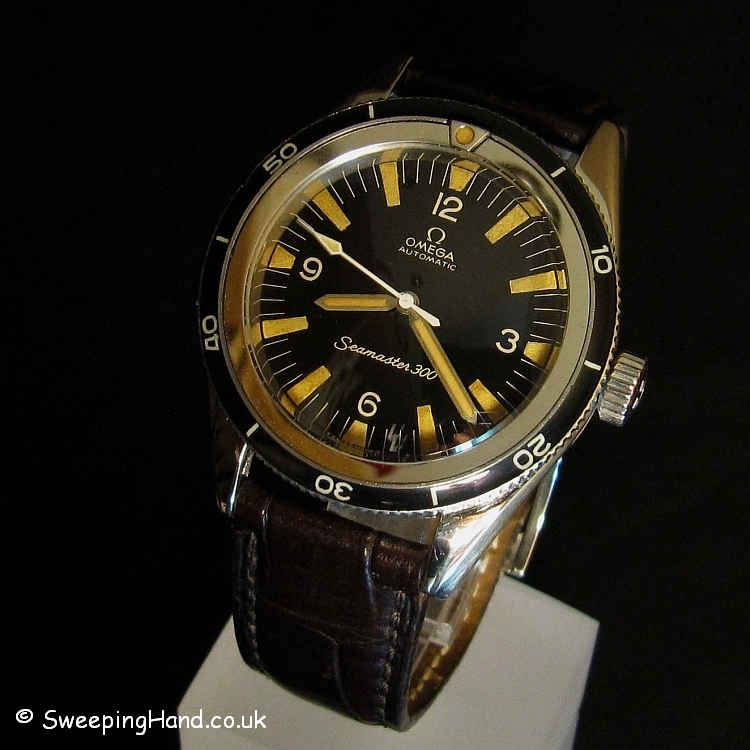 An Omega Seamaster 300 with reference 165014-64. 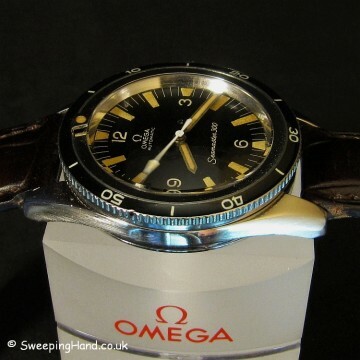 This was a very very short production model, maybe a matter of months as it was believed Omega already had the 165024 ready for release. 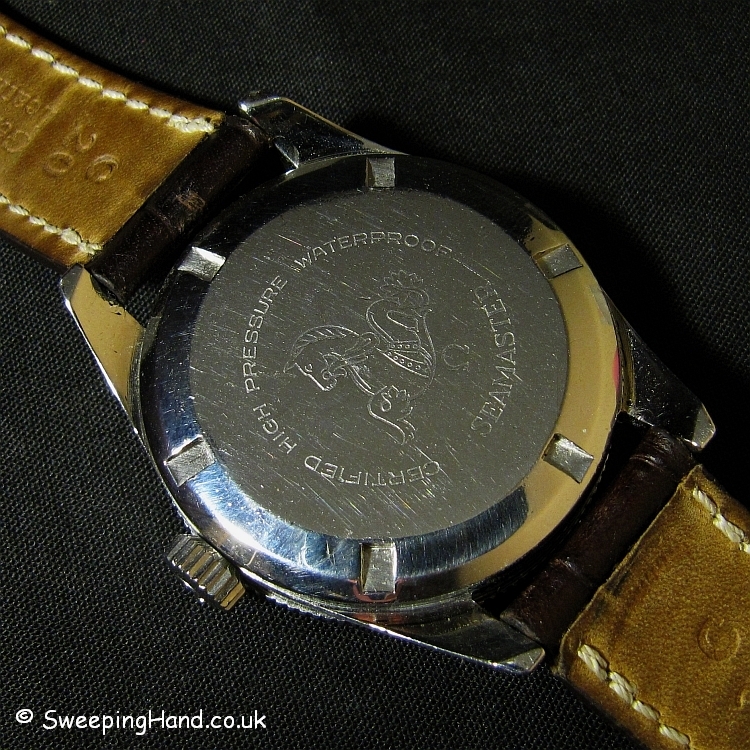 23m serial number dates the movement to about 1966. The dial, hands and bezel on this piece are just wonderful. 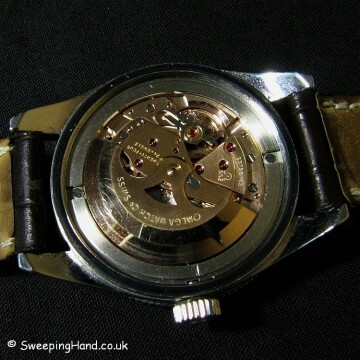 Has an original Cal 552 automatic movement in super clean condition following a recent £500 service. Comes on the leather strap shown but an original vintage Omega bracelet is also available at cost. Omega SM300 just don’t get much better than this. In my opinion the most undervalued vintage pieces available today – they will only go one way! 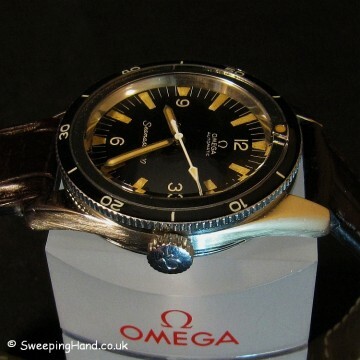 If you are looking to sell your Omega or for a Omega buyer in the UK then please get in touch. We can help with your Omega watch value, offer the best price and organise purchase of your Omega watch quickly and with immediate payment. 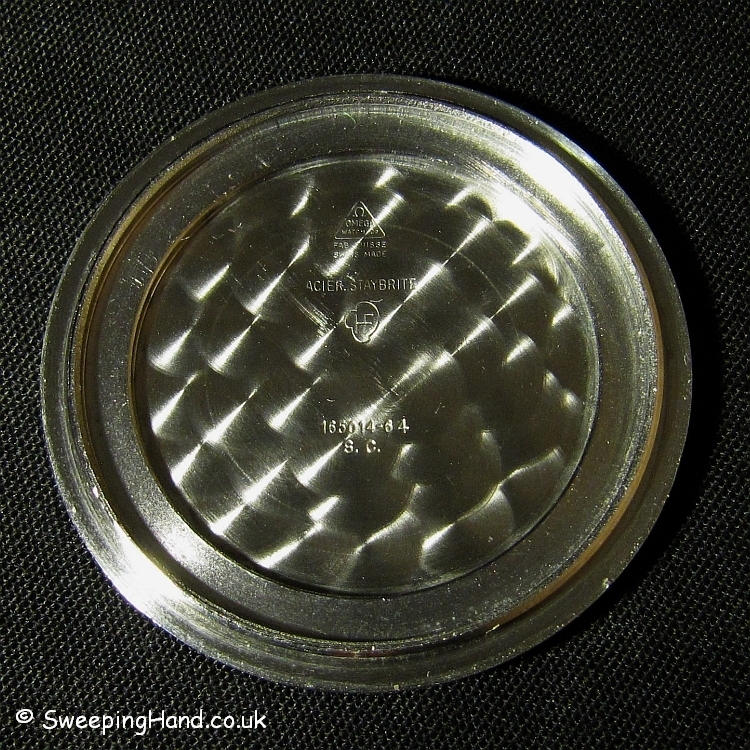 Many references available from satisfied clients worldwide. 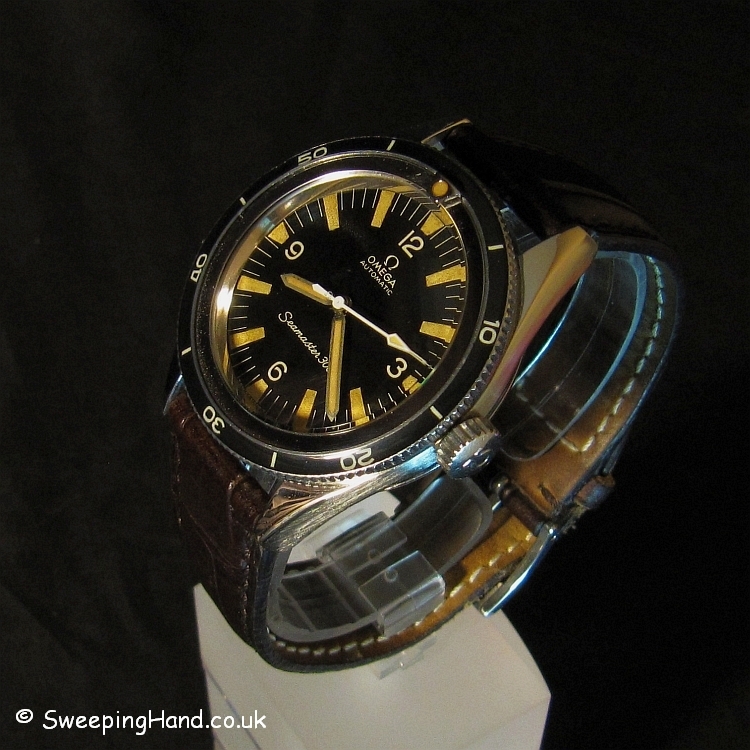 Hae Omega 300 Sea MAster bought new in 69. Was in for tune/repair in 2011. 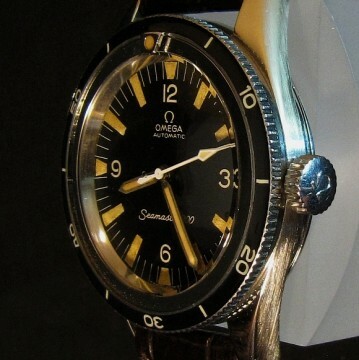 Looks much like the 1 in your pic but bezel has more markings and is a triangle rather than a dot in the 12 o’clock position. Am think of selling as it is starting to lose alittle time. 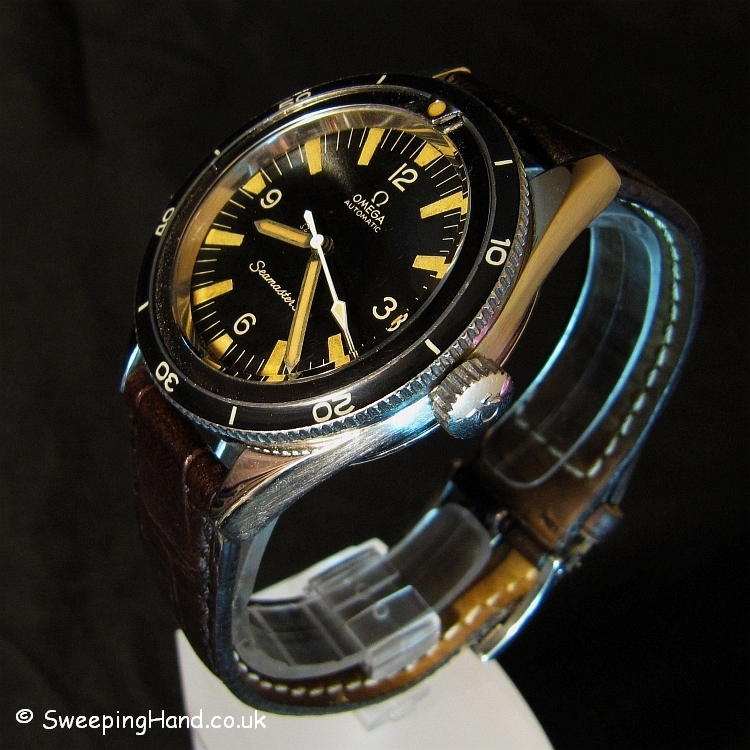 Has a new Omega ss band and paper from Omgea on tune up dated 02/11.